If you plan on going barefoot outside or in public places as the warmer weather is rolling in, make sure that your feet are properly protected and that the areas are safe enough to walk through. Going barefoot means the risk of contracting bacterial infections or viruses such as plantar warts. The virus that causes plantar warts thrives in public places that are exposed to water. These warts can become painful and lead to inflammation, even becoming difficult to treat. If not treated properly, plantar warts can exacerbate and become debilitating. 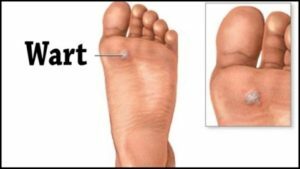 If you would like medical assistance regarding plantar wart treatment, consult with one of our podiatrists from Foot HealthCare Associates. Our doctors will provide quality care for your feet. Plantar warts are the result of human papillomavirus (HPV) getting into the feet through tiny cuts or abrasions. Typically, these warts are contracted through walking barefoot on dirty surfaces since the virus thrives in warm and moist environments. They are mostly found on the heels or balls of the feet. While plantar warts are generally harmless, those experiencing excessive pain, suffering from diabetes or a compromised immune system require immediate medical care. They are easily diagnosed, usually through scraping off a bit of rough skin or by getting a biopsy.